If you want to better understand growing roses in New England, rosarians and University of Rhode Island Master Gardeners Mike and Angie Chute have written a new book that lays it all out for you. We invited the Chutes to talk about their book in this post. We started by developing an outline and writing schedule which we managed to stick to…mostly. The results were a detailed guide to rose gardening in New England expressly written for New Englanders by New Englanders. We emphasized sustainable roses and dispelled the misconception that all roses require chemical pesticides to stay healthy and attractive. Roses for New England is the ideal reference for New England gardeners who want to grow attractive, healthy, and disease resistant roses in their home gardens. Novice rose gardeners will find everything they need to know to successfully grow roses. Experienced gardeners will utilize this book as a ready reference enabling them to grow better roses. We knew from twenty years’ experience and conducting countless rose programs that the information gardeners want the most is basic rose horticulture. We also understood that no matter what the topic of our program was, the questions at the end were always the same. What do you feed roses? How much water do they need? What do I do about Japanese beetles? What’s the difference between a hybrid tea and a floribunda? How do I protect my roses in the wintertime? What’s the best way to plant and prune roses? Roses for New England not only provides complete answers to all these questions but goes much further. It explains the different types of roses and how to select the right varieties as well as inside information on how roses are propagated and marketed. It describes our six easy steps to successful rose gardening, providing details on everything that roses need to thrive. 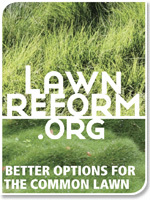 It underscores the importance of sunlight and water, what to feed roses and how often, practical choices to controlling insects and diseases, and how native New England soils can be ideal for roses with a little help. 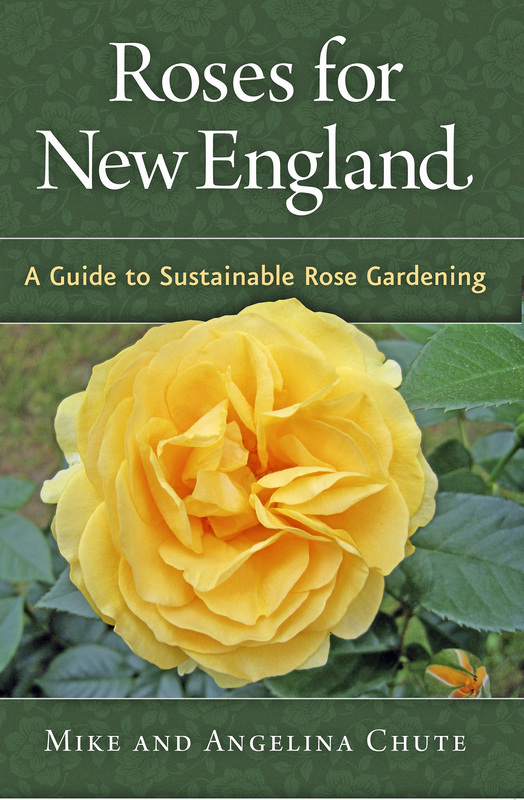 This book illustrates the proper way to plant roses, demystifies pruning, and shows how simple it is to protect them from the rigors of New England winters. It includes a comprehensive list of over 150 sustainable roses commercially available that we know will flourish in the northeast. In addition, it chronicles our rose gardening experiences through stories and personal anecdotes. Roses for New England: A Guide to Sustainable Rose Gardening (Forbes River Publishing) is available at www.rosesolutions.net. I heard you are having a book signing soon – can you give me some details, please? Thanks. Hi and thanks for reading! I will email Mike and Angie and ask when the next signing will be. I will post the info as a reply here. Perhaps some of the addiction we have in cultivating roses stems in part from the same areas that our ancient forebears found so appealing. Many roses have a very distinctive scent, and the shape of the rose is certainly unique enough in itself to warrant extensive cultivation and appeal. You make an interesting point about scent and shape. My feeling about roses is that the ones I grow MUST have a scent. I really don’t see the point if they don’t, since every person who walks buy them instinctively bends down to sniff the blossoms. But not everyone feels that way, so I guess it’s a case of to each his/her own!